Hello everyone, it's Lucile! Today I present to you my first design team layout! 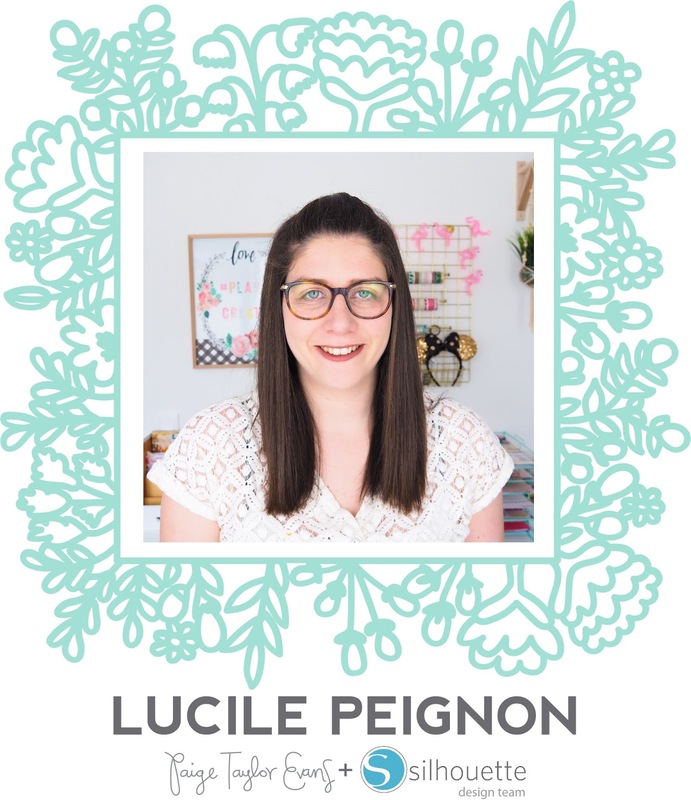 I wanted a summer project and what's better than a flower wreath matching the beautiful and colorful Crémieux street in Paris?! 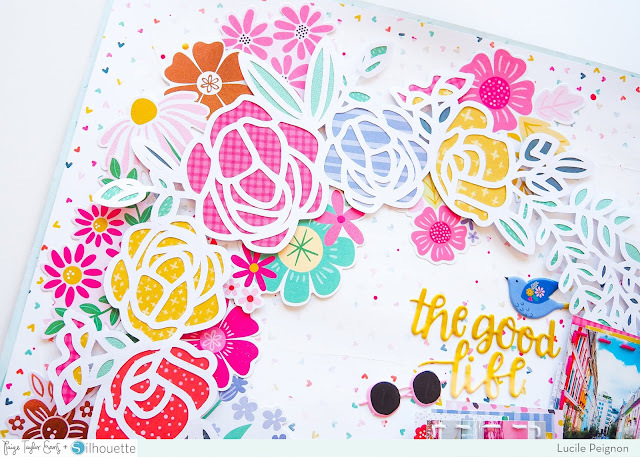 I started by cutting Paige's Flower Wreath cut file with my Silhouette Cameo from white cardstock and filled the pattern with various papers from the Oh My Heart collection. I admit it is quite a long process but with good music, it's relaxing! I really wanted to use Paper 21 for my background and to make cut file more visible, I added gesso and drops of paint. Being a big fan of flowers, I decided to add floral die cuts to decorate my flower wreath and add more color. I decided to add a sewing frame on my photos - I love this effect, I think it perfectly decorates the photos! Then my favorite part: I added several pieces of paper to highlight my photos. Finally, I decorated my photos with die cuts and puffy stickers. 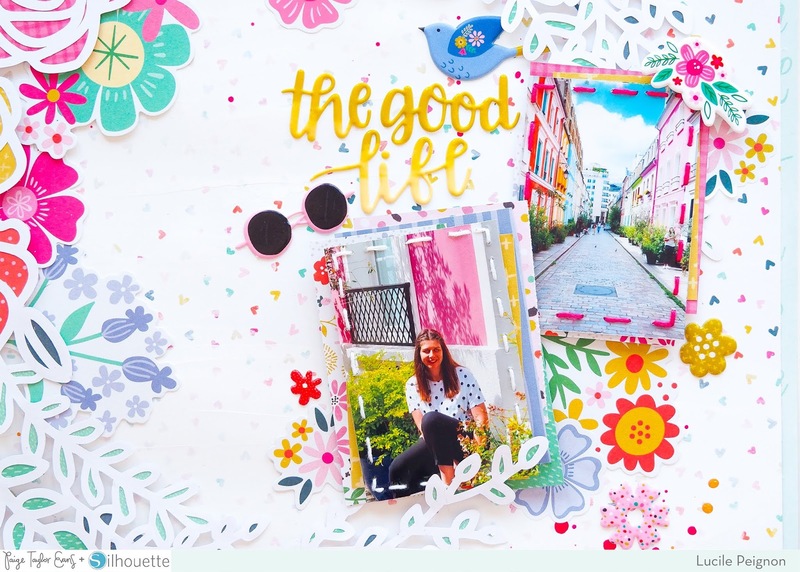 No journaling on this page, just a phrase "the good life" that summarizes the state of mind of these photos! 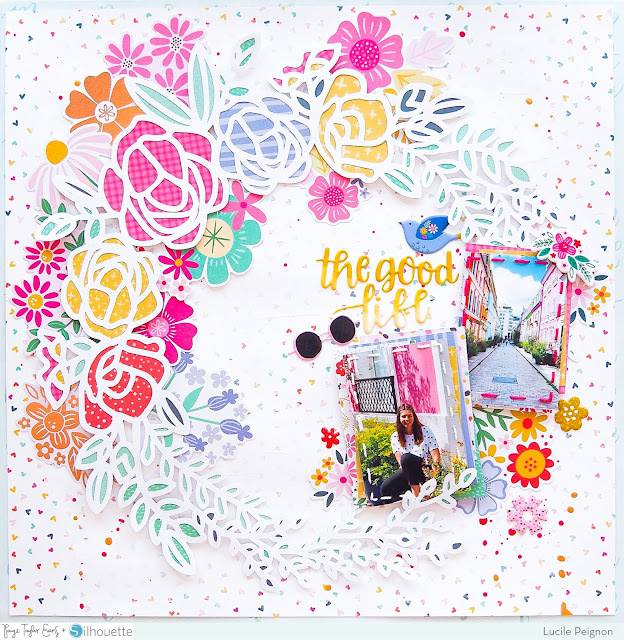 I hope I would have inspired you to put flowers on your next layout!